What challenges for companies and compliance officers in implementation of anti-corruption targets do you observe in Sweden? One challenge often raised by compliance officers in Sweden is the difficulty to gain understanding from management of the importance of focusing on anti-corruption efforts, and, thus, receive adequate resources to implement a robust compliance program. Traditionally, corruption has not been perceived as a problem in Sweden, and that certainly adds to this difficulty. Another challenge posed by compliance officers is efficient third-party management, and how to navigate those corruption risks faced by every company that is doing business in countries where corruption is more prevalent than in Sweden. Companies are also struggling on how far reaching their obligation to counter corruption is within the supply chain, and how to act to not contribute in any way to corrupt practices. Further, obligations in the GDPR have also raised question marks for compliance officers regarding i.a. how to make adequate screenings of individuals to make sure there are no corruption convictions without acting in breach of the provisions in the GDPR. Do you expect any landmark changes to influence compliance in the nearest future? Sweden has for a long period of time received criticism from the OECD for not having sufficient sanctions against companies that are breaching bribery provisions. This has led to a proposal to raise the maximum amount for the corporate fine that can be imposed on a company in case of bribery offences committed by someone within the company. Hopefully, we will soon see that this proposal leads to changed legislation, although I would not call that a landmark change. What has been somewhat of a landmark change is Telia case, where Telia received record high fines from American and Dutch authorities for paying bribes while doing business in Uzbekistan. The Swedish court trial is currently on going and the District Court will render its judgment in mid-February. Regardless of the outcome of the Swedish trial, Telia case has contributed to putting the question of the importance of countering corruption risks much higher on the agenda for Swedish companies. What, in your view, is to be done by ethical business to educate other private sector representatives of doing business with integrity and building corruption resilient culture? A key word here is transparency. 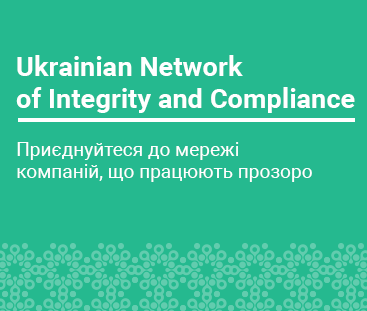 By being transparent with the anti-corruption work, and the challenges connected with it, ethical business leads by example as well as contributes with best practices. A public statement against corruption also takes away the illusion that other companies are acting in a corrupt way, and, thus, is a potential justification for using corrupt methods. Ethical businesses should also require of their business partners to act ethically and transparently. Industry-specific agreements and other collective action approaches are also very important and efficient tools. What are the plans of the IMM for the forthcoming year? The ambition is to strengthen further the role of the IMM as a knowledge-hub for conducting ethical business and countering corruption risks. We will focus on adding content to our web page, hosting open seminars, and initiating strategic co-operations. Further, we have quite an exciting work ahead with revising the Code of Business Conduct, a work that is being done in cooperation with several key stakeholders from the business. I hope that we will be able to make an even more user-friendly product that provides the business with guidance on how to navigate to minimize corruption risks.